Claude Thorin Vintage 1996 Folle Blanche Cognac is somewhat special... Made with Folle Blanche grapes - the old grape that used to be the mainstay of the vineyards of Cognac until the phylloxera crisis of the 1880s. As the name suggests, this is a cognac from the year 1996. 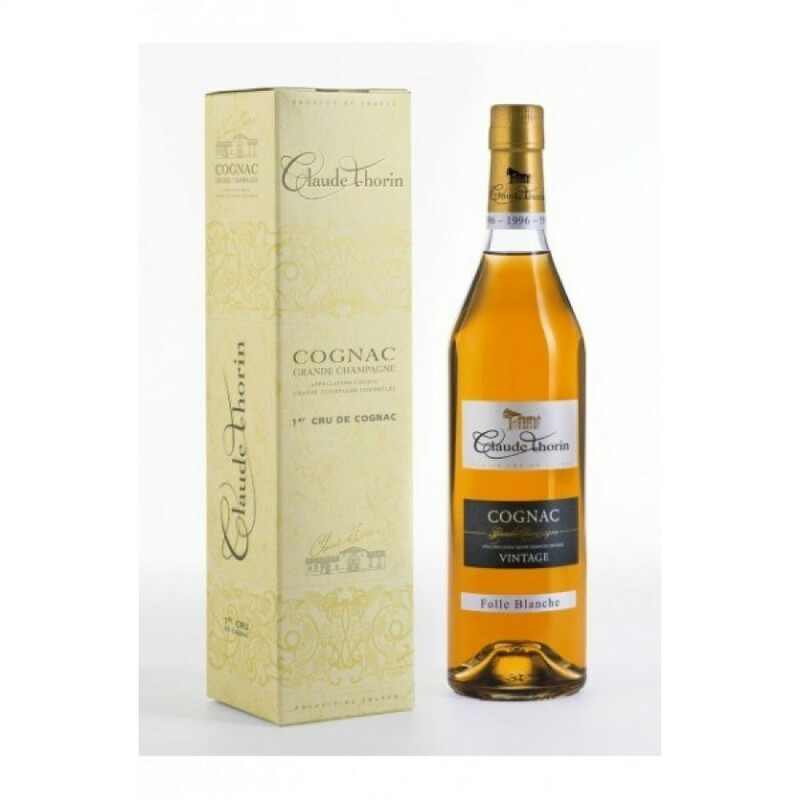 According to Claude Thorin, this cognac excites on the nose with fabulous aromas of violet, honeysuckle, and vanilla. On the palate one enjoys a round, supple flavour before moving onto a long aftertaste with notes of fleshy white fruits and spices. Offering extraordinary value for money for a vintage cognac, this one certainly deserves a place in your cabinet.